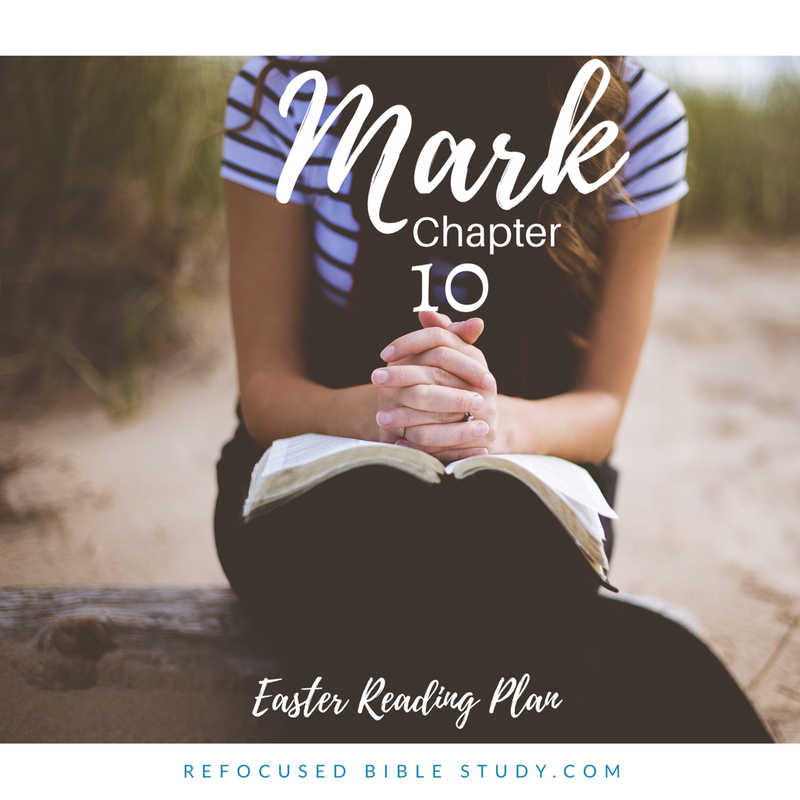 It’s day ten of “Mark, one chapter ad day for Easter.” here at Refocused Bible Study. If you missed the details of the study, you can find them here. We’d love for you to join us! Today, I’d like to set a challenge before you. 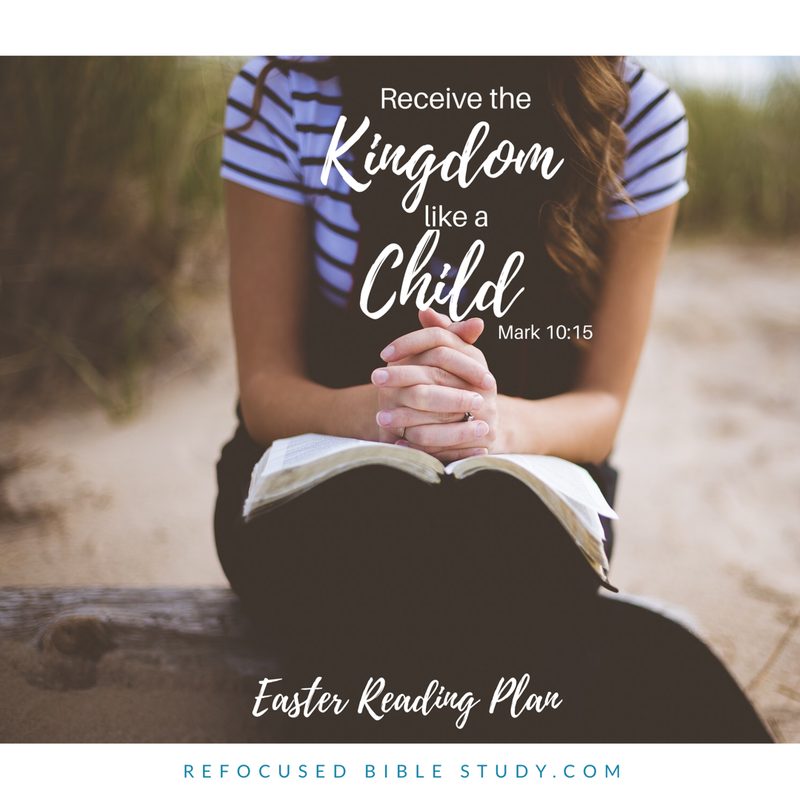 A challenge to have WILDLY CHILDLIKE FAITH. A faith that looks like the faith a child has in their parent at a young age, before their eyes are disillusioned and see that we human parents are sinners. We see this kind of faith in chapter ten of Mark. Jesus calls the children close, and uses them as an example of the way we are to receive the Kingdom of God. So today, I leave you with this challenge: talk to God like he is your good, good daddy, even if your earthly father left you or was far from the image you’d like to have of a good parent. Help us embrace your design for childlike faith. May we never outgrow a faith in our Father to just take care of us. You never cut ties and turn us loose to try and do life by ourselves without you. You ask us to keep childlike faith. Help us to stay wildly childlike, to never grow up and think we’ve got it all figured out and can do it on our own. Help us keep a childlike trust in you that helps us to never worry, but to only trust you.